Black*Eiffel: Happy St. Patrick's Day! the clutch is so cute! and artichoke paste sounds like something that would make anything better - crostini, a sandwich, pasta, pizza, mm! That ring is amazing!! 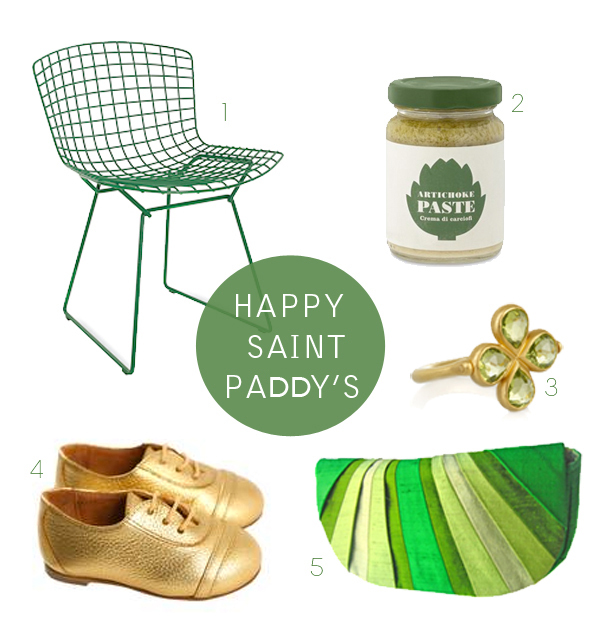 Love all your green picks! It's Saint Paddy's day or Saint Patrick's day. 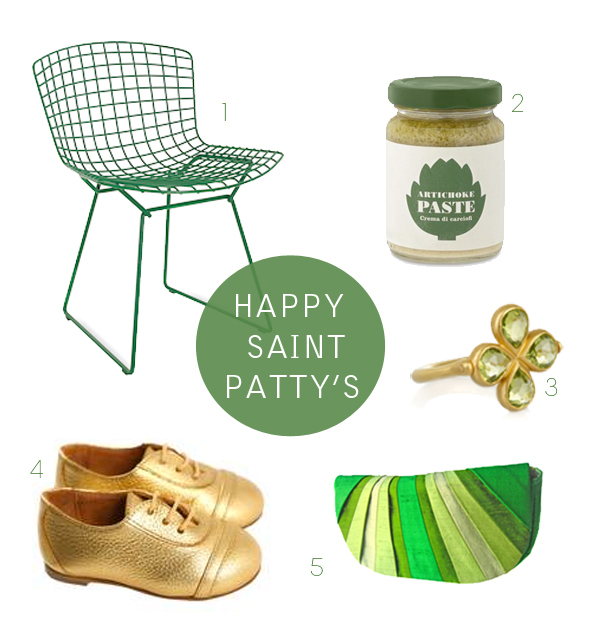 Patty is a girl's name and should NEVER be used to refer to the patron Saint of Ireland. What a great roundup. That ring is fantastic! I hope you had a fun St. Patrick's Day. Thanks bwhite & nancy -- I've changed it to Paddy's now, I appreciate you letting me know!